When we talk about to pull down the production costs the GRIZZLY machine enters in game, in fact this machine joins the force, the reliability, the speed and the low operating costs. GRIZZLY raises to you from whichever handling problems , or simply in order to arrange or to reimpilare benches badly it aligns to you. GRIZZLY moreover is lend to multiple solutions for whichever industrial fields, adaptable atmosphere also to being inserted in companies with production cycles automatics. · flexibility , in fact this machine can handling many paper size up to 1000 x 1400 (mm). 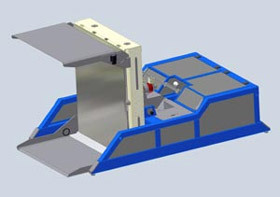 · main chassis studied for a heavy cycle of job, the maximum load is 1500 Kg. · Comfortable maintenance to the inner organs, thanks to the wide spaces of access. 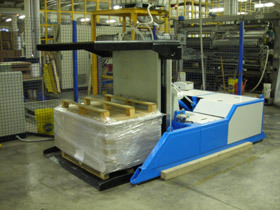 · pallet load with transpallet or fork lift. · hydraulic sistem studied for a heavy cycle of job.